It Was Over When: The Wizards responded to the Raptors using a 12-3 run to get within two points in the third quarter by reeling off 10 straight points of their own. The Washington run put Toronto behind by 12 points midway through the third and the Raptors would not get within single digits again. Turning Point: Kyle Lowry picked up his second and third fouls 10 seconds apart with 9:29 remaining in the second quarter. This is the second straight game the point guard has found himself in foul trouble and he exited the game with the Raptors leading by six. With Lowry on the bench, the Wizards closed the half on a 31-14 run. 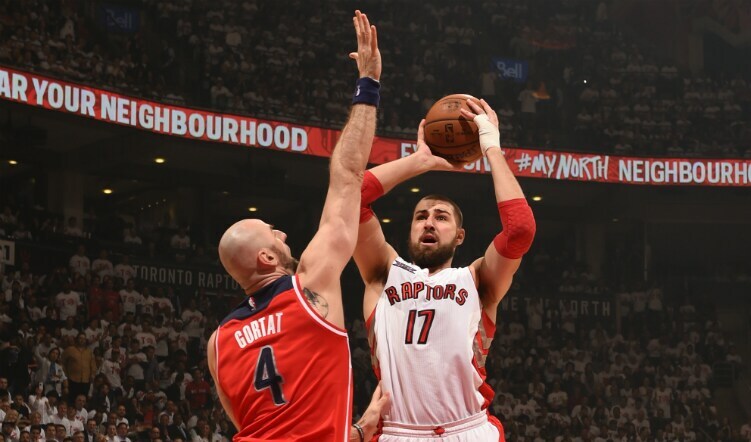 Raptors Player of the Game: Jonas Valanciunas scored 15 points and grabbed a team-high 10 rebounds in 29 minutes of play. Valanciunas was 5-for-11 from the floor and 5-for-6 from the free throw line. Game 2 Game Changer: John Wall was an absolute terror to defend on Tuesday night. After making just five of his 18 field goal attempts in Game 1, Wall torched the Raptors in Game 2, scoring 26 points to go with a playoff career-high 17 assists. Wall was 8-for-16 from the floor and 8-for-11 from the free throw line. 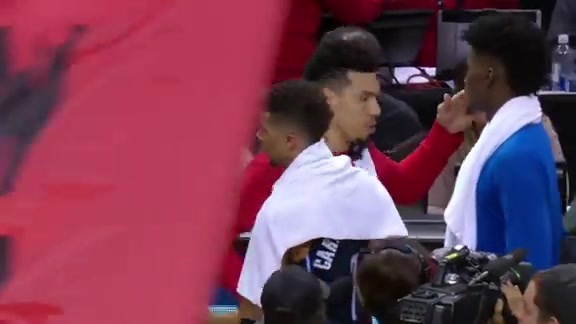 Lowry Leaves Game Early: Through two games in this series, Lowry has struggled to stay on the court thanks to foul trouble. In the fourth quarter on Tuesday, Lowry again had to leave the game, but this time it was after getting tangled with Paul Pierce and suffering a shin contusion on his left leg. He left the game at the 5:56 mark of the fourth quarter and did not return. 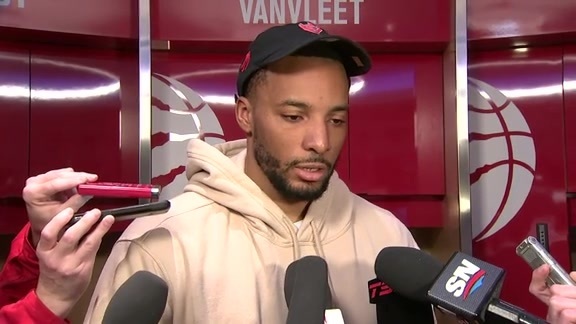 Lowry addressed the media by his locker after the game, saying that he would be okay. Lowry shot 3-for-10 in Game 2, but only played 28 minutes because of foul trouble. 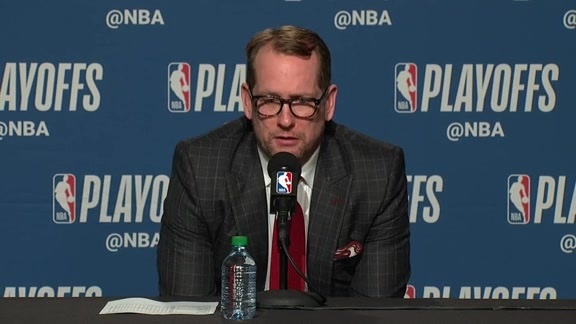 When he was on the floor, the Raptors looked markedly better than when they were trying to keep things afloat without him. 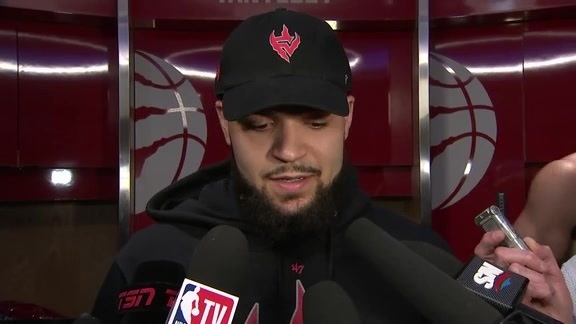 Vasquez Wants To See More Fight: After Monday’s practice session, Raptors head coach Dwane Casey said if he only had one word to describe point guard Greivis Vasquez he would use the word passionate. 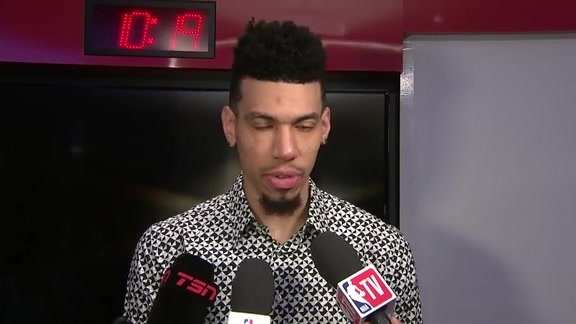 Following Toronto’s Game 2 loss, Vasquez said he wants to see more passion in Game 3. 45 - Rebounds for the Wizards compared to just 28 for the Raptors. Washington also doubled Toronto on the offensive glass, 10-5. 97 - Points for Washington at the end of three quarters. In Game 1, the Wizards needed an overtime session to score 93 points. 11 - Missed free throws for the Raptors who shot 66 percent from the line. DeRozan played 41 minutes and attempted just three free throws. 28 - Points for Bradley Beal who hit playoff career highs in points, field goals made and field goals attempted. Beal shot 12-for-21 from the floor. 34 - Points in the second quarter for the Wizards who outscored Toronto 34-18 in the quarter to take a 60-49 lead at the half. Up Next: The Raptors head to Washington looking for their first win of the series in Game 3 at Verizon Center on Friday night at 8 P.M. ET. Eastern Conference Quarterfinals Game 2: Washington Wizards at Toronto Raptors. 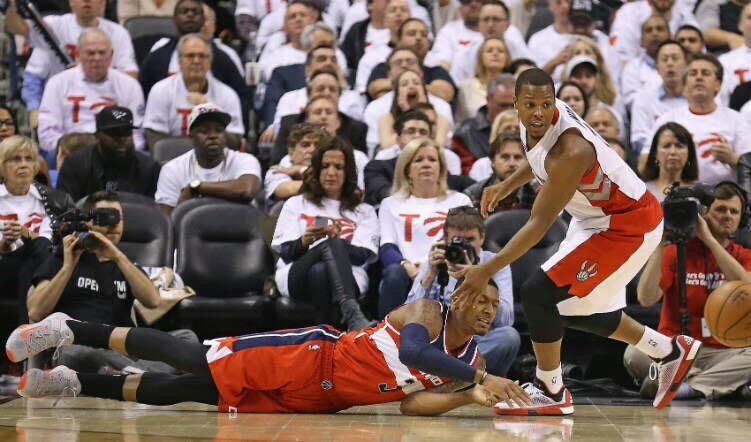 The Raptors came up short in Game 2, falling 117-106 to the Wizards at home on Tuesday evening. Head coach Dwane Casey addresses media following Toronto’s 117-106 Game 2 loss to Washington on Tuesday night. DeMar DeRozan speaks with media following Toronto’s 117-106 Game 2 loss to Washington on Tuesday night. Kyle Lowry speaks with media following Toronto’s 117-106 Game 2 loss to Washington on Tuesday night. Lou Williams speaks with media following Toronto’s 117-106 Game 2 loss to Washington on Tuesday night. Patrick Patterson speaks with media following Toronto’s 117-106 Game 2 loss to Washington on Tuesday night. 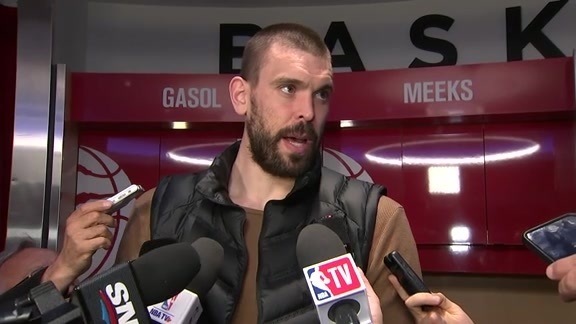 Amir Johnson speaks with media following Toronto’s 117-106 Game 2 loss to Washington on Tuesday night. Greivis Vasquez speaks with media following Toronto’s 117-106 Game 2 loss to Washington on Tuesday night.